Hi guys! Hope everyone is well and wedding planning is going good! Just an update on what I’ve been doing lately. I’ve been making the most of the downtime and have been working on updating the website, and scheduling blog posts! Lots of lovely pretty weddings to be shown over the next few weeks so stay tuned. 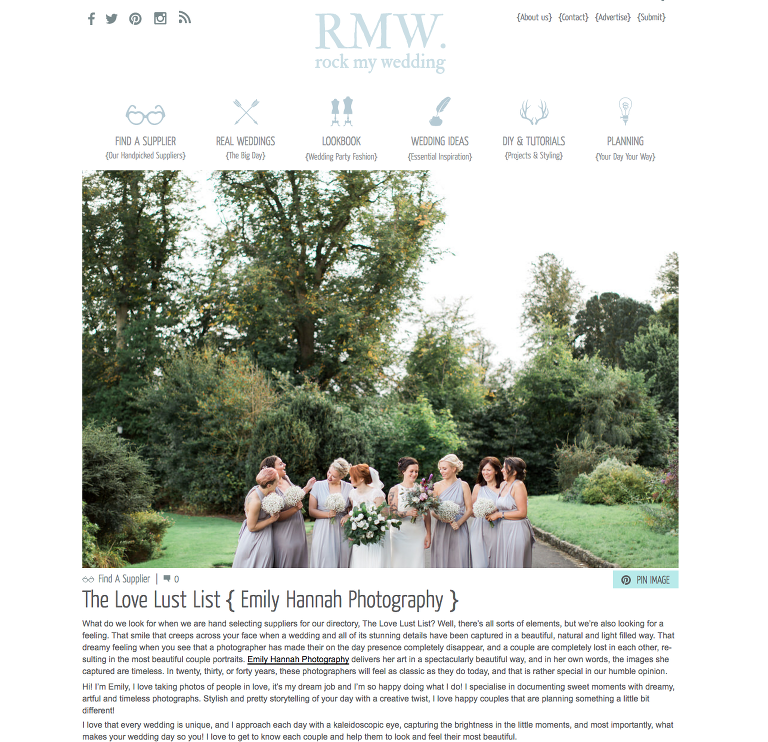 For now, here’s a feature the lovely Rock My Wedding wrote about me and my work, be sure to check it out!